As the doctor examines me, I am trying to tell him that the altitude pills I recently took caused an allergic reaction with my broken Spanish. He presses his finger on my forehead and asks “Tiene dolor?” meaning if it hurts. I want to say it hurts only when he presses like a wrestler but since I don’t know how to say wrestler in Spanish, only a low toned “si…” comes out of my mouth. He puts me on serum, after a couple of hours there is no improvement in my situation. My red blood cells are not capable of carrying the medicine to my cells due to high altitude. Because of this, they put me on oxygen. After liters of serum, I really need to go to the bathroom. I am all by myself in the infirmary of the hospital. I feel like crying. “No lo siento mejor…” I tell the doctor, meaning “I don’t feel well.” He really doesn’t care much. Later on, Monica and Annemarijn arrives to the hospital. Anne’s Spanish is much matter than mine. She speaks to the doctor about my situation and translates me that he says that they did everything they could here in the ER and if my situation doesn’t improve within a couple of hours, I have to be admitted to the hospital for further tests. The old lady inside me is about the scream… Thank god she is inside so I could keep my cool on the appearance. After I pull myself together we get back to the hostel. Sadly, after spending a terrible night, this time I end up in a private clinic. Thanks to the multiple injections, my face gets back to normal and I offer girls who have been delaying their trip because of me, to leave for Uyuni. 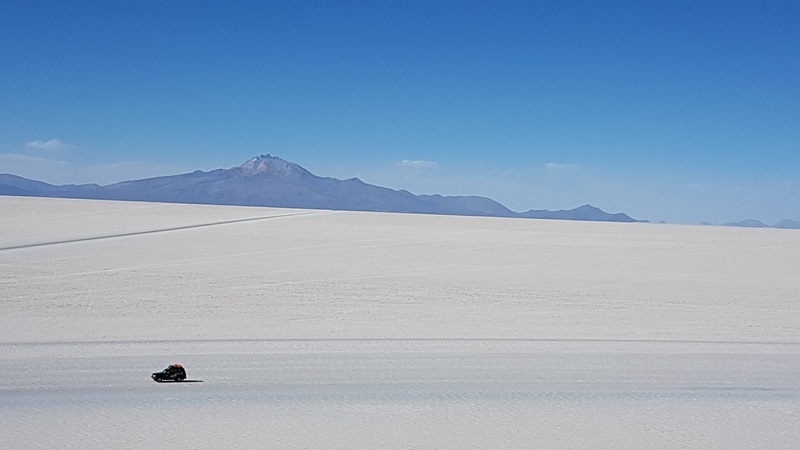 Hence, I have no idea how hard the Uyuni tour is. 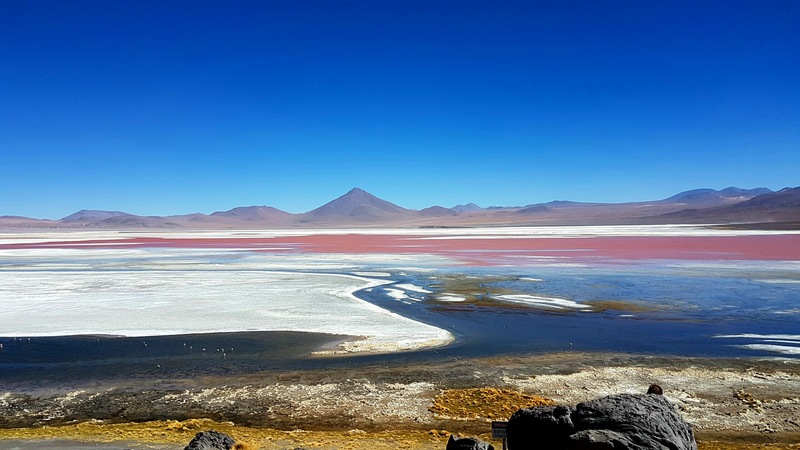 After arriving to Uyuni town, we agree upon 850 Bolivianos, for our 2 Nights-3 Days tour. Murat, whom Ann met in Sucre joins the group as well. A British couple also, joins our tour group the and everything gets settled for the next morning. 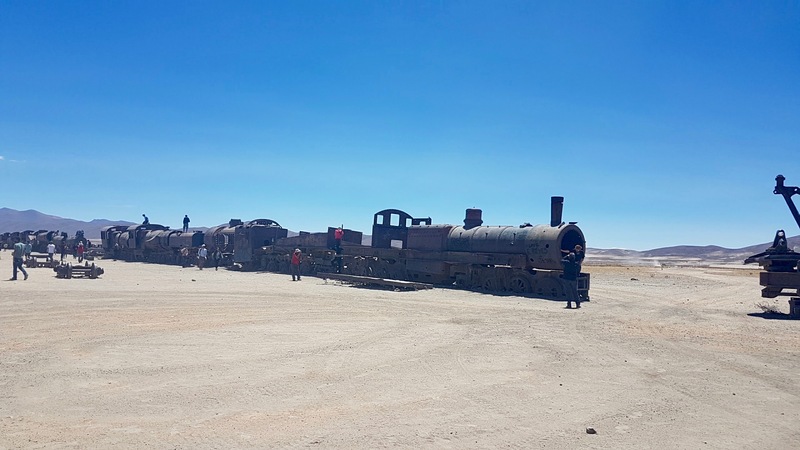 On our first day, we visit the train cemetery, a restaurant built from salt and the salt flats. It’s 35 Celsius degrees outside and the sun is burning. At noon, my face gets as red as a lobster although I put loads of 50 factors sunscreen on it. In the afternoon it gets chillier and at night it turns to winter. We arrive one of the shelters, called refugios to spend the night. Refugios are quite simple structures where the electricity is supplied by solar power and there’s only one shower for 20 people. I congratulate myself for crippling myself while coughing. Well done, my friend! The second morning, we take off in the freezing cold. 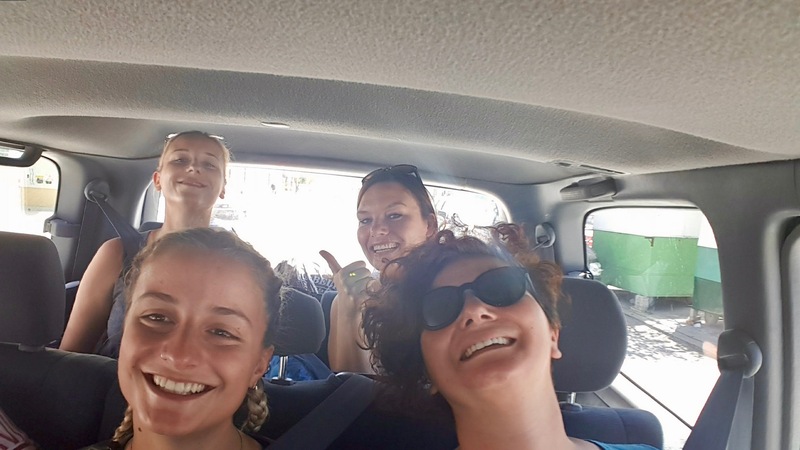 7 people crammed in the old Toyota 4X4, we endure a very bumpy ride. At our first stop, I start coughing continously. So intense as if I have tuberculosis or something. For minutes it doesn’t stop and then finally I hear a clicking sound in my lower back. When I try to stand straight, I feel and excruciating pain. Literally I crippled myself over a simple cough. For the first time in my life I hurt my back this badly and it happened to happen in the middle of nowhere. The closest hospital is most probably in Chile. I can not get on or get off the car. I can not even bend and tie my shoe laces. As I try to walk it off, it gets worse. Almost in every 15 minutes we hop on the car, drive for half an hour-45 minutes and hop off again. The torture of getting off that car is indescribable. I am so pissed, I can slap myself. 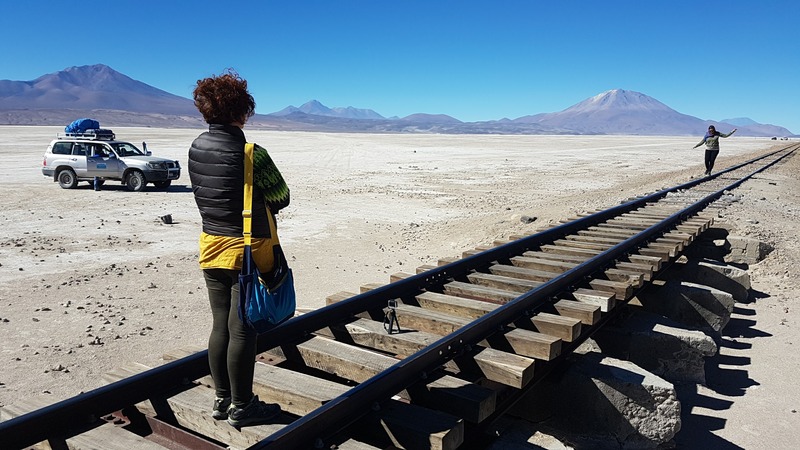 After all the years, dreaming of Uyuni here I am but I can not enjoy it. Seriously girl, well done! As the evening comes, we reach about 5000 meters and arrive to our new refugio. This time is worse, there is no hot water to take showers and we have to sleep in one room all together. 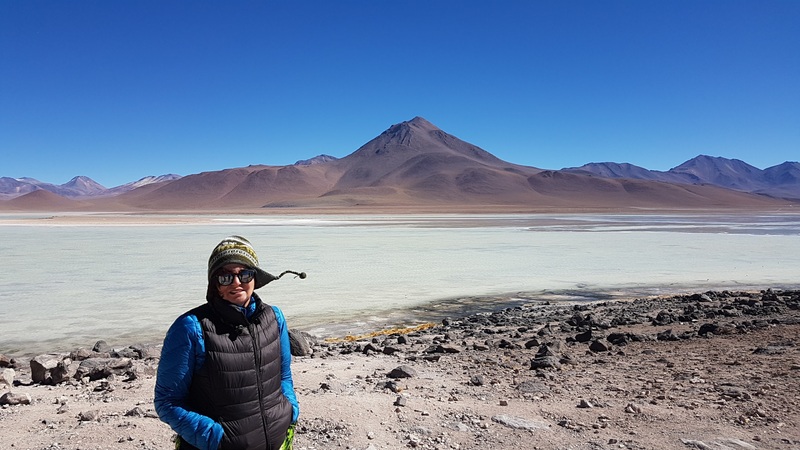 Moreover, we are surrounded by the sick travelers who arrived from Chile, San Pedro de Atacama and trying to deal with altitude sickness. We see people, throwing up, laying in the halls, trying to inhale coca medicines… I don’t think these guys can handle the rest of the tour. The tour has two destination options. 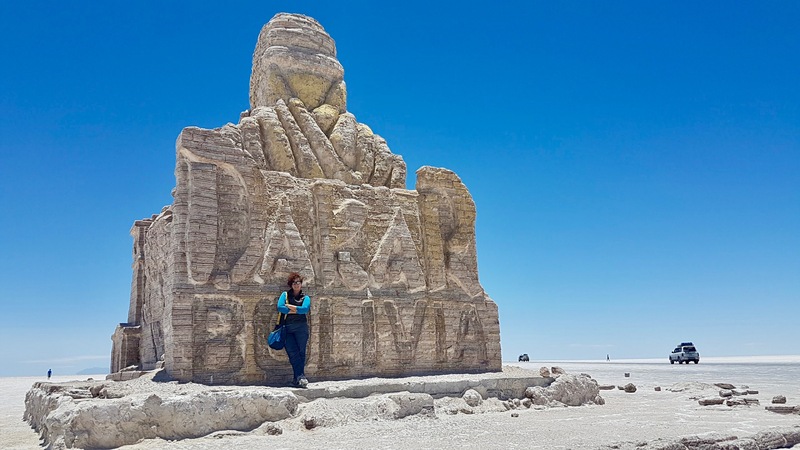 Either you can start from Bolivia, Uyuni and can cross the border to leave for Chile or you can start from Chile and move inwards to Bolivia. When arrived from San Pedro which is only 2800 meters high, it is very likely to have the altitude sickness in Bolivia. We are a little more lucky since we ascended slowly in Bolivia before coming here. 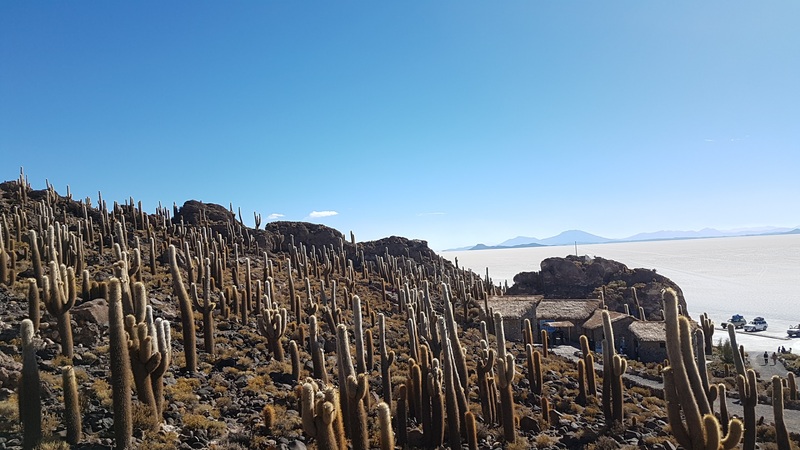 Isla Incahuasi is an island made of rocks and cactuses in the middle of the salt flats. A German girl gives me a warm patch and I put it on before I go to bed. The weather is minus something and since there is a good chance I won’t be able to wear my trousers back in the morning, I don’t even bother with taking them off and I get inside the bed with my trousers, my jacket and two layers of socks. The warm patch is burning my back like hell. On top the pain, another level of pain comes… My forehead and neck starts swelling again and I lose sleep over the fear of having a swollen tongue. I am so sure I will be buried in Bolivia. Is it ok for a traveler to dream about a mall? After a while, I drift into sleep. In my dream, I am in the shopping mall close to my old apartment. It is warm inside and my dad is with me. I am safe, I am happy… I am at somewhere familiar. It is so funny to dream about shopping malls as a person who dislikes them but for a moment it becomes my happy place. I am so glad about being back in Turkey. Then our alarms starts at 4 AM and I open my eyes. A tear drop falls onto my cheeks. My fellow tour mates wake up and wear their jackets, shivering. 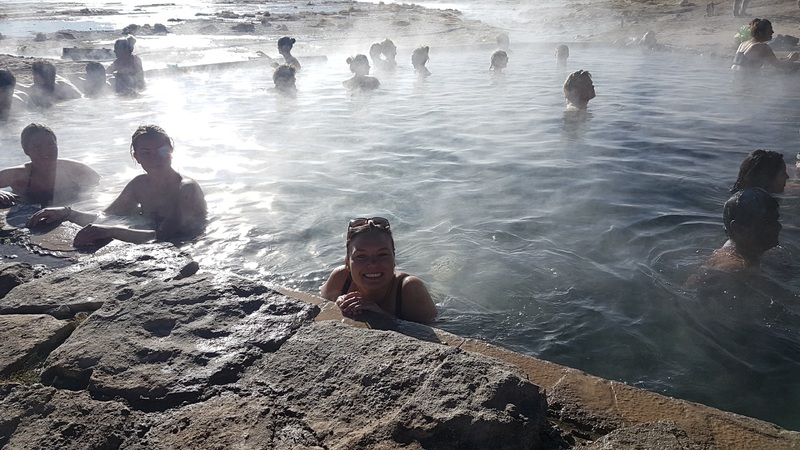 Our last destination before being dropped off to the Chilean border is the natural springs where everybody is going to enjoy the hot water. Being in this situation I can’t even imagine the struggle and pain of trying to put my bikinis on but I have to leave with the group, so there is nothing to do but watching them. Anne, in the hot pool. As everyone changes into their swimming suits in the freezing cold, I sit on a short wall to join them from a distance. All I want is leaving for Chile as soon as possible. I am planning nothing but staying somewhere for a couple of days to rest my bones and recover. Just as, I do so… I enter the hostel and don’t leave unless I have to buy some food. The warm desert weather does good on me. I finally feel warm. The shopping mall dreams becomes a small, embarrassing memory soon to be forgotten hopefully.